Tim Herbst addressing a transportation forum that attracted 10 candidates and an audience of 300. Southington — Republican candidates for governor drove away from a transportation forum Friday without saying how they would stabilize Connecticut’s depleted transportation fund, disappointing an audience of union members and contractors whose livelihoods rely on the state’s ability to maintain and improve its aging infrastructure. It was an opportunity for a field of candidates with no frontrunner to address a major issue highlighted last week by Gov. Dannel P. Malloy, who warned that without significant new revenue the transportation fund would need to curtail rail services, boost fares and suspend capital projects to remain solvent. Only Joe Visconti, a former one-term West Hartford councilman who has raised no significant funds since opening an unconventional campaign for governor in April, talked about finding new funding, proposing electronic tolls and expressing a willingness to consider limited tax increases. 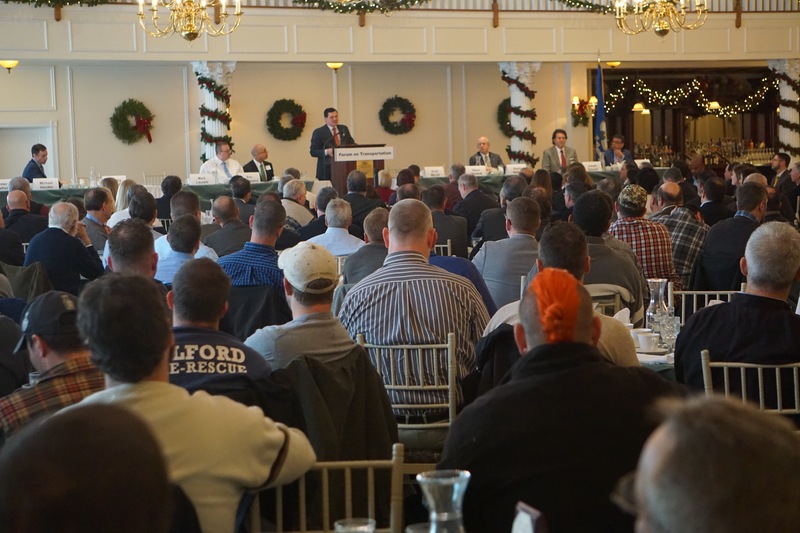 Nine others glided through their allotted 10 minutes without telling an audience of more than 300 how they would address what the forum’s sponsor, the Connecticut Construction Industries Association, views as a crisis: Projections that the state’s Special Transportation Fund will be insolvent by 2022 and unable to support new borrowing for infrastructure even sooner. The association is holding a similar forum for Democratic candidates for governor next month. 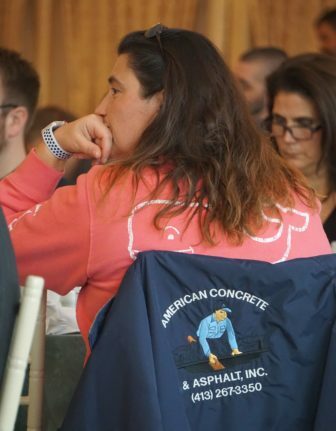 Others in attendance at the Aqua Turf Club were more critical of the GOP candidates, saying they saw little understanding of a long-percolating crisis or a willingness to confront it with a discussion about raising revenue, either by enacting tolls, raising the gasoline tax or both. “It was supposed to be about transportation,” said Nate Brown, a business representative of Local 478 of the International Union of Operating Engineers, whose 3,100 members operate heavy construction machinery. The audience was construction contractors and laborers. Six of the candidates present have raised significant funds for their campaigns, trying to establish credibility among potential nominating convention delegates. 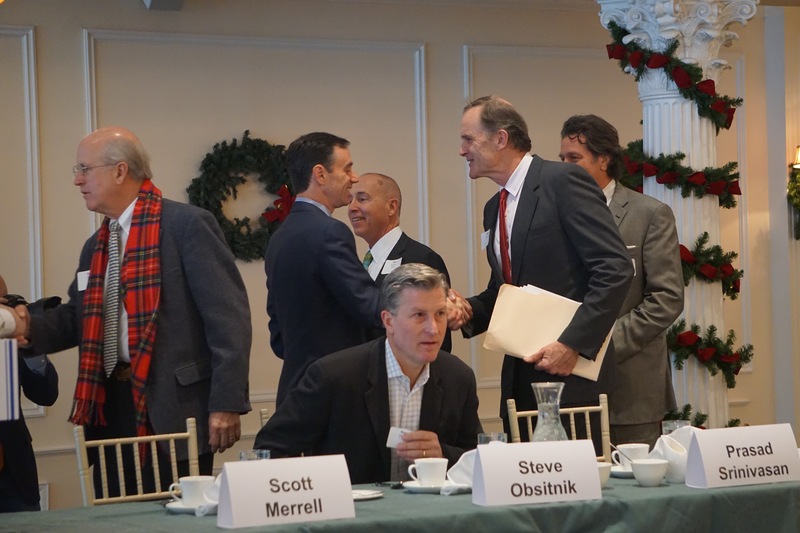 They are: Mike Handler, the chief financial officer of Stamford; Tim Herbst, the former first selectman of Trumbull; Mark Lauretti, the mayor of Shelton; Rep. Prasad Srinivasan of Glastonbury; Steve Obsitnik, a technology entrepreneur; and Dave Walker, the former U.S. comptroller general. Joining them were Visconti, who bolted the GOP four years ago to run as an independent and may bypass the GOP convention this year to petition his way onto the primary ballot, and three others who are raising little or no money and are not expected to qualify for a primary: Eric Mastroianni, Scott Merrell, and Peter A. Thalheim. David Stemmerman, a Greenwich hedge fund manager who has been invisible since putting $1.8 million of his own money into a campaign committee, declined an invitation to attend. He also skipped a forum sponsored by the Connecticut Republican Party. In the audience was Sen. Toni Boucher, R-Wilton, who is exploring a run for governor. Like most of the declared candidates, Boucher is opposed to any increase in taxes to attack the growing backlog of projects necessary to maintain the state’s transportation network. “Forget it. Not one more tax increase,” she said. Walker says on his campaign web site he favors charging tolls on out-of-state motorists, something he didn’t mention Friday. Walker said Connecticut could shift the burden of tolls onto out-of-state drivers by providing offsetting tax credits to state residents. Obsitnik ignored transportation, instead pledging to encourage economic growth about “urban ecosystems.” Handler said transportation is “vital,” but he offered no ideas about how he would improve or fund it. A physician, Srinivasan said he viewed transportation in medical terms. But if the doctor has a prescription, he did not share it. Herbst said candidates need to get serious about a plan for transportation. He left specifics for another day. The ten candidates finding their seats.